After introducing 55 inch smart TV on 14th February in India, Xiaomi has launched today two more smart TVs -Mi LED TV 4A (43) and Mi LED TV 4A (32). These TVs features 43 and 32-inch displays respectively with a 1920 x 1080p Full HD panel. These TVs boast of a great viewing experience combined with a powerful set of speakers. Both the TVs feature the custom-made PatchWall OS designed for India. PatchWall brings together more than 15 different content partners, across 12 Indic languages which gives 500,000 hours of content to watch. It the largest library of Video-On-Demand providers and 80 percent of content comes for free. The universal search feature of this OS makes it easy to find content to watch along with personalized recommendations. There is also support for 13 system languages including 12 Indic languages out of the box. These TVs come with easy to use Mi Remote with just 11 buttons which is a stark contrast to traditional remotes full of buttons. Mi Remote can also replace your STB controller and control any HDMI device that supports CEC. Mi LED TV 4A (32) is powered by a 64-bit Amlogic quad-core SoC with a Mali-T450 GPU, which keeps PatchWall quick and fluid. Mi TV 4A (32) has 3 HDMI ports (including 1 ARC port), and 2 USB ports, as well as an Ethernet port along with Wi-Fi. 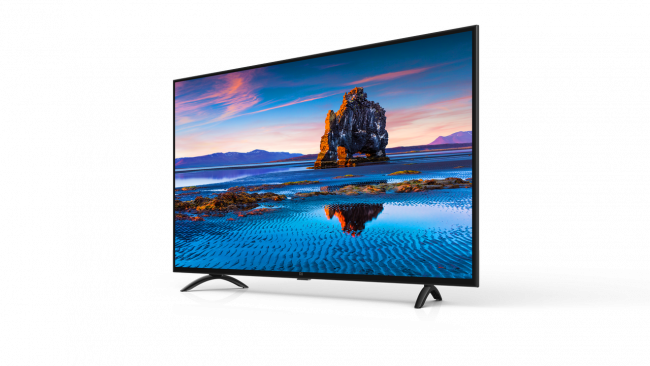 Mi LED TV 4A (43) on the other hand, features the same 3 HDMI ports, and Wi-Fi support, but features 3 USB ports along with an S/PDIF port. It is also powered by a 64-bit Amlogic quad-core SoC. Mi LED Smart TV 4A 108 cm (43) is priced at 22,999 INR while Mi LED Smart TV 4A 80 cm (32) is priced at 13,999 INR. They will be available online every Tuesday and Friday, beginning 13th and 16th March respectively, across Mi.com and Flipkart.